April 9th is designated as National Cherish an Antique Day. This is a day set aside to learn the story and the history behind your treasured antiques. It also recognizes the quality and uniqueness of items that were made by hand rather than by machine. 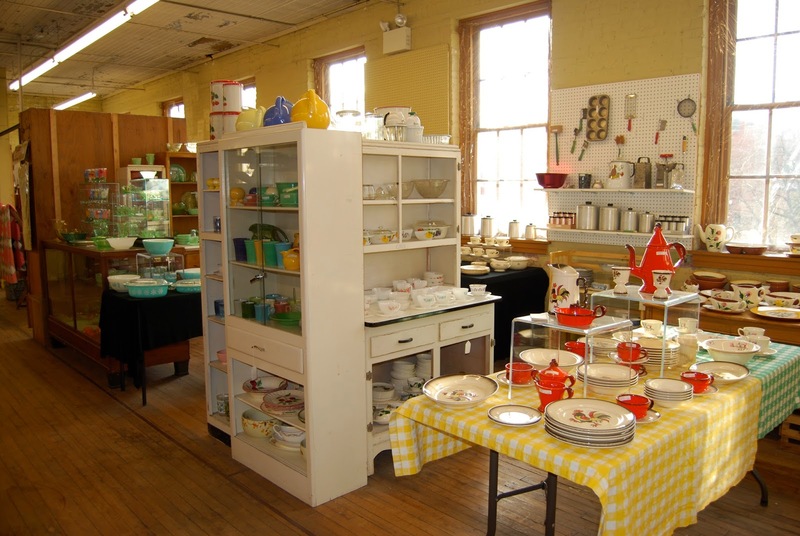 There are plenty of places to shop for antiques in Cumberland Valley including some of my favorites: Bedford Street Antiques, Northgate Antique Mall, and Antique Marketplace of Lemoyne. I have spent hours at each location slowly exploring all the shelves filled with vintage jewelry, stoneware, framed prints, lighting, coins, old maps and books, and glassware, among other things. My favorite find happened many years ago and is still displayed in my house. It is a turn-of-the-19th-century pitcher and bowl set with a beautiful design and in great condition. If you are looking to find the perfect treasure for your home that you will cherish for years to come, check out the Antiques Trail trip idea on VisitCumberlandValley.com. In addition to the antique stores and galleries across Cumberland Valley, there are also several local antique events held throughout the year including the Eastern National Antique Show at the Carlisle Expo Center as well as the occasional antiques appraisal hosted by the Mechanicsburg Museum.